As it has been in the past and, likely to be in the foreseeable future, SEO is king for bringing traffic to your website. Those of you looking to grow your blog or website traffic will need an effective SEO strategy that is built following a long term sustainable approach. You will also need to avoid these SEO myths that only add confusion. Unfortunately not all of us know how to do that, nor to discern which agencies offering the service are able to execute on their offer. But there are a few SEO myths that are not effective and, at worst, a complete waste of time. Is there anyone out there who doesn’t think their time is important? We spend a lot of it writing, editing, creating images, video’s, doing keyword research and implementation, website design, networking, and trying to fit in the occasional sleep or family dinner. But hey, lets cut through the noise for you by highlighting the top 10 SEO Myths that are real time wasters circulating over the couple past years. We encourage you to read on so that you may avoid these Marketing pitfalls and SEO Myths in 2018 going into 2019. SEO is an ever-evolving industry. What worked yesterday probably doesn’t work today. This means that to stay on top of the SERPS you need to stay on top SEO practices, removing those that are no longer helpful or useful. Don’t waste time on techniques that won’t gain you an increase in search rankings. This includes knowing the practices that have become outdated so to steer clear of possible Google penalties causing devaluation in the rankings. Uh What?!?! Not true and just stupid. Such a silly one of the SEO Myths I would leave it at that, but I suppose that an explanation is in order. Keywords are, and always will be, the cornerstone for SEO because that is what people are putting into the search engines to begin their hunt for whatever it is they are looking for. Keywords within your content still matter a great deal. That said, the increased sophistication of Google and its competitor search engines means that strategy and flow of keyword placement within your text is more important. Keyword stuffing (adding random keywords multiple times throughout your text) can have a negative affect on your SEO efforts. Crowding your text with keywords or placing them arbitrarily without context is not viewed as positively as it once might have been. However, matching your content to user intent with the use of relevant well-researched posts, with well structured content, and keywords that fit the topical and grammatical structure of the article is still the way to go. By doing this you will be gaining solid backlinks and if your are optimized for optimizing your site for speed, you will see some ranking improvements. Keyword relevancy is now more important in the weighing metric. Does you content match what people are actually searching for? If not, then it doesn’t matter how many times you use the keyword in your post. By choosing keywords that have a high search volume first, you know you are writing content that is in demand. In this way, you will be using keywords to ensure the content you write matches what the user is searching for. Part of this SEO myth is that as long as you rank on page one you’ll be getting lots of traffic, but if there’s no search volume behind that keyword you still won’t get getting any traffic for it. Keywords matter so choose the wisely. Leave behind keyword stuffing. But don’t leave behind well-researched keywords. To put it simply, if you can give an excellent and concise explanation, that matches the searchers query, with only 500 -1000 words then that article will rank just fine. The reality is, however, that a complex subject is not likely to be answered in a satisfactory fashion with an article that is less than 500 words, and google knows it. Write you articles with the intent of conveying a clear message. Content length follows the flow as to what is appropriate to fully cover the topic to the satisfaction of the user. This is another one of the silly SEO myths. In reality, Do follow links can be very beneficial to your SEO. They can actually boost you trust flow if you are linking to authoritative websites relevant to your niche or subject matter of the post. Way back in 2005, the no follow html attribution tag was introduced by Google as a way to stem the rising tide of the indexing of spam. It boils down to an instruction for the “crawler bots” to not follow certain links. It is beneficial to use if you are uncertain of the site quality to which you are linking. Another time you may want to employ a no-follow link is if you have a vested interest in the link (eg.. a link to another site you own, or an affiliate site which you will receive compensation through. Otherwise, use all follow links, because you shouldn’t be including links to sites you don’t trust anyway! Add external do follow links to 2-3 niche related, relevant, authority sites that support your content. 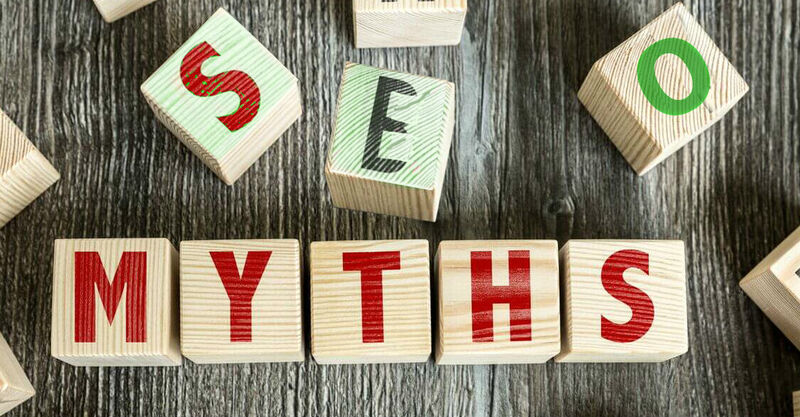 SEO Myths, Myths, Myths…. First, if buying a link immediately means that you have done something “black hat” then almost every advertising dollar spent online is black hat. Placing a linked Ad on another website, or PPC ads in the perps are essentially paid for links, so lets dispel the notion that money exchanged for a link is somehow associated as a deal with the devil. Backlinks are a very important ranking factor. They demonstrate to Google that your site is worthy of ranking higher in the search results by acting as a positive vote for your site – though some backlinks carry more weight than others. Simply put, you will not rank well without backlinks. So your have two options: you can wait passively for organic links to happen as you create content or your can actively push the process along. The key is to make sure you’re not building spammy low quality links that are not relevant to your niche or topic. This type of disingenuous link building is very easy for users and sophisticated algorithms to see. If you mange a blog or two you will see what I mean when you have several blog commenters named “cheap Viagra” or Pay Day Loans” with two word comments that say “Nice Post” and then include 30 links to crap sites. However, building links to increase the usefulness of the content on your website is beneficial to the users and will be viewed positively. Guest posting on high authority blogs, or outreaching to other bloggers for the exchange of relevant and useful content are both good ways to do this. highly-relevant. Spend your time trying to get links from high authority sites. Guest posting is a great way to get the most useful link. Approach link building as a way to increase the value of your content and the related content on other blogs. Joining collaboration post with 30+ links included are very low-value. Steer clear of spammy or rented links. A backlink from a unique domain (one that hasn’t already linked to you) holds more weight than additional links from the same site. A backlink from a high authority site is better than from one equal to your own or lower. A backlink near the top of the content is worth more than at the bottom. A backlink that stands alone in a post is worth more than when your link is just one of many inside a post. 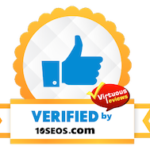 A backlink from a social network means virtually nothing, except when weighed by Google as part of the total social proof pointing to your site. A no follow link does not pass link juice to your site. NO it’s not and NO you can’t. This really could be a short article if I handled all the answers that way, but for those of you that don’t already know this stuff let me explain. The age and size of your site is less important to Google than the relevancy and quality of your content. That said, a website created today will not rank tomorrow. You will need to build some trust into the site before the Google bots start testing it for ranking placement. 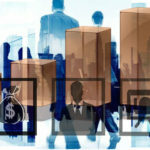 This can take a few weeks and depends on the competitive nature of the niche and keywords for which you want to rank. The point being that a 6 month old quality site can easily outrank a ten year old spammy one. Now then, ranking without SEO work being done….. not likely. With over 440 million blogs online today Google just isn’t going magically put yours above the rest because you think it should. Not without the planned optimization of your website, page, blog or whatever. Ranking is based on strategy and technique. You will never get anywhere significant with your blog without a solid, well-developed SEO strategy. Publishing a really well-written post is not enough. There are 5 basics that we use over and over to get ranking for clients and ourselves – good original content (images, video, articles), keyword research and targeting, link planning and building, on page SEO, and outreach. Fail to do this and your blog will never grow. Stop worrying about your size and start focusing on good SEO Strategy. Need some SEO consulting …? We are here to help. Put an SEO strategy in place today. Great news! You are on page one or position one, and like all champions you never have to face another challenger again! Buzz!! Wrong! You want to stay ranked on top then you will need to keep working at it because your competition won’t be stopping anytime soon. While it is true that it will be easier to maintain ranking than it was to capture it in the first place, you will need to watch out for competitors who are working hard to claim your spot. Regular updates and rank monitoring are a good habit to form. Getting rid of any outdated content, adding additional or new developments to evergreen content, and continuing to provide a better user experience. Google is never stops updating their algorithm, so don’t your post lose momentum in the search rankings. Be Diligent, monitor your rankings and schedule maintenance to update your highest ranking content. The sum of your social proof is relevant to the search engines. This means that although Google claims that social media does not affect ranking, it most certainly does, albeit indirectly. As an example, you put out a tweet that generates 3000 new visitors to you site versus the 3 visitors from last month…. still thinking google doesn’t care? The larger and more engaged your social networks are, and the more traffic your social media accounts are sending to your site, the better. So then, while it is true that social media doesn’t have a direct impact on the search results, because it isn’t one of major calculations Google uses as a ranking factor, click through rate is a ranking signal. So then, the more engaged your social networks are the better. Continue to engage on social media in order to build your presence and authority, and to send more traffic back to your blog. 8. The Yoast SEO Plugin is all I need. This is not so much one of the SEO myths but more of a pointer. We make use of the Yoast plugin for almost every WordPress we build and manage. It gives a good foundational guideline for basic SEO measurements, and we recommend it highly. That said, it should only be one part of a larger SEO strategy. What it does do is identify ways to improve the SEO factors in your website, but thinking that the green light from Yoast is enough SEO effort for you to rank will lead to disappointment. It will not build links, create content, or any of the other several things that help ranking. It will only monitor those things that you have done. So many SEO myths and so little time. It is possible to outrank a high authority site. If it was not then the currently ranked sites would be there in perpetuity, leaving absolutely no reason to add anything else to the internet that wasn’t already there. To give some perspective on this, you will never out rank Coca Cola for a keyword like coke, just forget it. They are not stopping the content creation or SEO work of their sites. However, anyone has a chance to outrank a higher authority site by using good SEO, but it takes dedication, time and possibly money. If you are able to create much better content, chalked full of user friendly information, with many powerful backlinks, that can attract a high click through rate (with limited bounces and lots of time spent on the page), you absolutely can outrank authority sites that have ranked on page one for ages. It is possible (we have even done it ourselves) however, there are no guarantees. At the end of the day it is the Google algorithm that will have the final word. Hold your posting to the highest standard. Do what is in your control to do. Think about the user and you will put yourself in the best place to rank from, and let google sort or the rest. Domain Authority is a useful metric by which to gauge the quality of a site. It is a combination of over 40 different factors that are calculated to come up with a score. (Size, speed, link profile, age etc..) It may even indicate how easily it will be to rank that site or additional pages of that site based on its history, but in of itself, it is not a ranking factor. DA is based on a set of factors created by an entity (not Google or any search engine). Domain authority should be looked at as an indicator of a site’s authority within blogging circles. Its like a signal light on are car. It might be flashing to show the car is about to turn left but if the car maintains a speed of 100 kilometres an hour we can be pretty sure it won’t be turning. The DA score no affect on your Google rankings, it will not determine how high you will rank. Don’t get caught up in DA or overbid sites that have a high DA. Look to it as another useful gauge of the website’s ability to compete. So then, now that we have gotten rid of a few pervasive SEO Myths and what things to avoid in the remainder of 2018, and start of 2019, we want to make sure you also know what the most important ranking factors are. The goods new is that Google has been very clear in telling us what they are. Be mindful that these can change, but for now, it seems that 2019 will be consistent. Content – Content is still king! It is a major ranking factor and if you can provide the very best content to users, then google will try to match them to it. There is a reason that 80% of people don’t go past page one, and that 75% of searchers will enter a different search term if they don’t see what they are looking for. That is because Google is doing a better and better job of giving them the material that fits their query. Create that material and you are on your way. Backlinks – Google is counting them everyday. The more high-quality niche relevant links you have the better. Not all are equal so build the best possible. Google’s RankBrain – Is a component of Google’s algorithm that uses machine learning to determine the most relevant results to search engine queries. In general, it’s a way they assess content to make sure they are accurately matching the user’s intent with the content. Another reason (of many) that keyword stuffing is dead. RankBrain can accurately assess the meaning of the content and how it matches with a keyword thanks to machine learning. The main impact this has on SEO is that we no longer need to include every variation of a keyword in order to rank for that keyword.